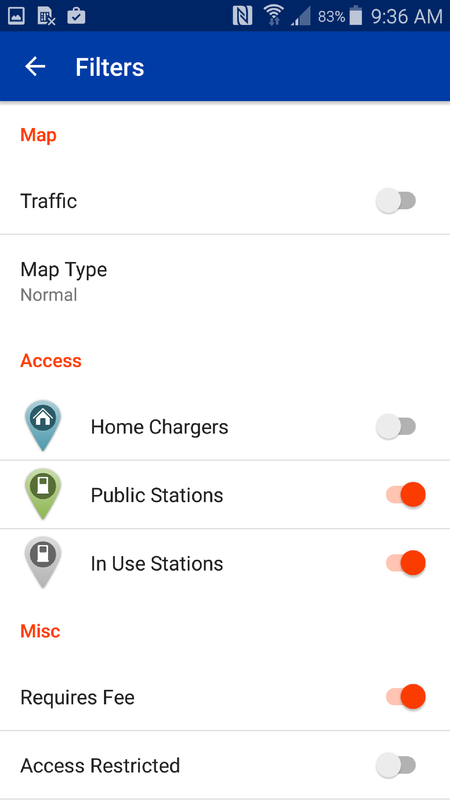 PlugShare supports finding nearby stations. 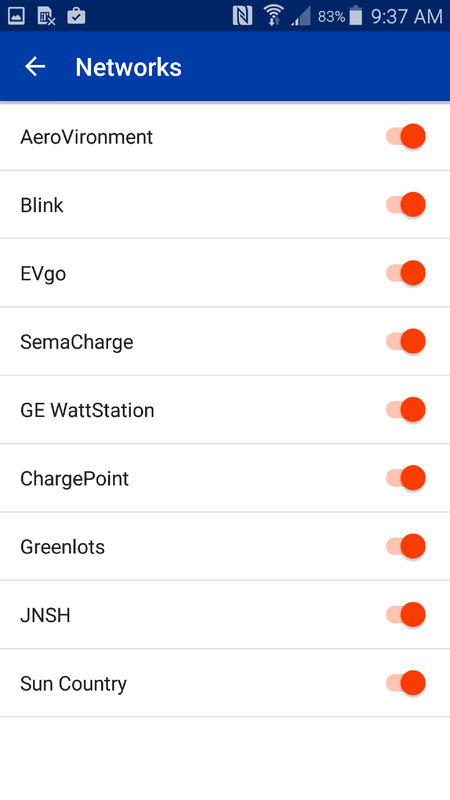 Make sure your location services are enabled on your handheld device. 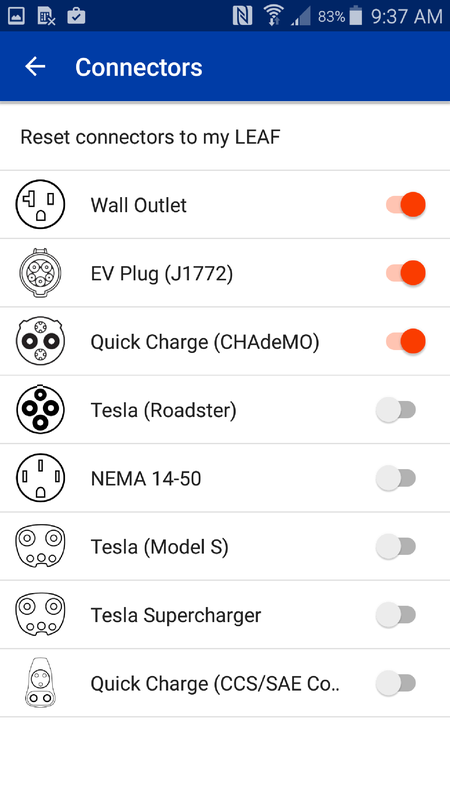 If you have your vehicle profile setup you will see the option at the top to "Reset connectors to my ___" This allows you to filter out all incompatible chargers based on your vehicle type. Tap on the location crosshair button in the upper right of the map. Tapping this will zoom the map to your location. For finding locations around a destination, you can search for a zip code, location name, city name etc. by clicking on the search icon in the upper righthand corner of the screen.